Big health care reform died in Congress in 2017, but significant policy movement and private sector initiatives are occurring that will help to bring down costs, improve choice, accessibility and quality of care. Small businesses and the self-employed continue to struggle with the cost of health coverage, so these market and policy changes are welcome news. In fact, they cannot come quick enough to provide the relief and options that small business owners and their employees need. President Trump signed an Executive Order in October 2017 that got the ball rolling on regulatory actions to improve health coverage choice and affordability, and encourage market competition. The order directed federal agencies to develop rules to promote access to coverage including changes to association health plans (AHPs), short-term limited-duration (STLD) plans, and health reimbursement accounts (HRAs). Progress has been made in two of these three areas, including final rules on AHPs and STLD plans. Association Health Plans: On June 19, the Department of Labor released its final rule on Association Health Plans (AHPs). These plans will allow small businesses and the self-employed to leverage the power of pooling to negotiate lower costs, and receive the same regulatory and economic advantages available to large employers. Short-Term, Limited Duration (STLD) Plans: These type of plans (which vastly changed under the ACA) play a vital role when individuals need coverage during career and work changes. People will increasingly cycle between full-time jobs and “gig” work, and short-term health insurance fills the health coverage gap. It is forecasted that by 2027, more than half of the workforce will have been or will be independent contractors. The market needs to provide flexible-coverage to align with how people work and the career choices they make. STLD plans fill a needed gap in the marketplace, and offer a practical option for startups and the self-employed. Health Reimbursement Accounts (HRAs): These plans offer a flexible benefit option that allows small business owners to reimburse employees tax free for out-of-pocket medical costs, including health insurance premiums. (HRAs are found in Section 105 of the Internal Revenue Code.) HRAs were almost lost as a coverage option in 2016 (due to restrictions under the Affordable Care Act), but were resurrected following an uproar by the small business and self-employed community. Legislation signed into law at the end of 2016 restored HRAs (without penalty) for small businesses. HRAs do not require the business owner to purchase a group health plan or contributions from employees out of their paycheck. 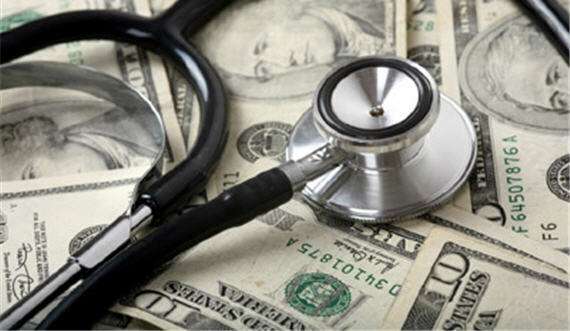 Thus, business owners unable to provide health insurance as a benefit to their workers due to high costs (or staff members who cannot afford to set aside funds) can utilize an HRA to offer some financial assistance to their employees for their health costs. A key weakness in HRAs is that the law does not support business owner participation in the plan they offer employees. This does not make sense. SBE Council supports amending HRAs to allow business owner participation, and we are still awaiting legislative or regulatory action to make this happen. Similar to changes we are advocating for on HRAs, SBE Council also supports expansion of Section 125 Cafeteria Plans. They have the same problem as HRAs. The law needs to change to allow business owners to both offer and participate in Cafeteria Plans. 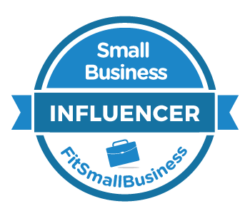 This would mitigate compliance challenges as well as expand benefit offerings for small businesses. The change to cafeteria plans is offered as a provision in the bipartisan “Small Business Tax Simplification Act,” (H.R. 3717) which SBE Council strongly supports and also testified in support of before the House Small Business Committee in October 2017. House Passes Important Health Care Reform Measures: On July 25, the U.S. House passed H.R. 6311, the Increasing Access to Lower Premium Plans and Expanding Health Savings Accounts Act, and H.R 6199, the Restoring Access to Medication and Modernizing Health Savings Accounts Act – both of these bills are strongly supported by SBE Council. H.R. 6311 delays the health insurance tax (HIT) for 2020 and 2021. SBE Council is pushing for full repeal of this unfair tax, as it represents a direct hit on small business owners and their employees via higher premiums. The tax hurts middle class Americans. In fact, half the tax is paid by those earning $10,000 to $50,000 per year. H.R. 6311 also doubles the contribution limit of HSAs (for individuals from $3,450 to $6,650, and for families from $6,900 to $13,000); expands HSAs by allowing working seniors enrolled in Medicare Part A to continue to contribute to their HSA; and expands eligibility to those enrolled in bronze and catastrophic Obamacare health plans. H.R. 6199 would end the Obamacare restriction on purchasing over-the-counter-medications; expands HSAs to be used on certain sports and fitness expenses up to $500 for an individual and $1,000 for a family; and allows HSAs to be used for direct primary care up to a limit of $150 per month for an individual and $300 per month for a family. Read details about these changes and more here. The House also voted to repeal the Medical Device Tax, a legislative effort long-supported by SBE Council. The tax is especially punitive for innovative startups and small businesses. Most of the companies in the medical device industry are small firms. According to Census Bureau data, 73 percent of medical device companies have fewer than 20 employees and 88 percent have fewer than 100 employees. 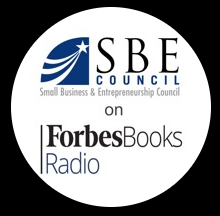 I recently talked about all of these changes, and promising movement in the private market – such as the CVS-Aetna Merger – on a recent SBE Council-Forbes Books Radio podcast. Listen to the podcast here. The merger should push other big players to compete differently and explore alliances and/or models that create a more effective, consumer-friendly and lower-cost system for consumers. This will be good news for entrepreneurs, small businesses and their employees who are losing access due to higher costs, or lack immediate access to health care for basic needs. As a reminder, SBE Council’s 2018 Policy Agenda for Health Care Affordability and Innovation can be accessed here. I am happy to report that every component of our agenda for 2018 is being addressed, with several coming to full completion and with a positive outcome for entrepreneurs and small businesses. There is much more work to be done in this critical area, and SBE Council appreciates your engagement and support!